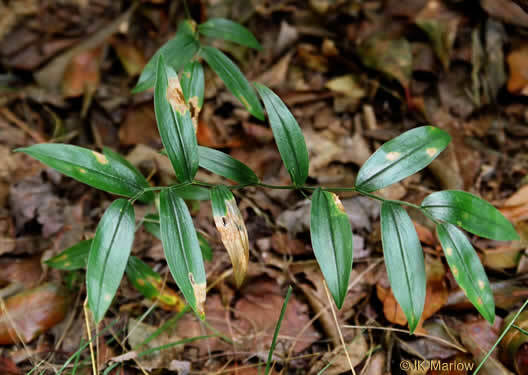 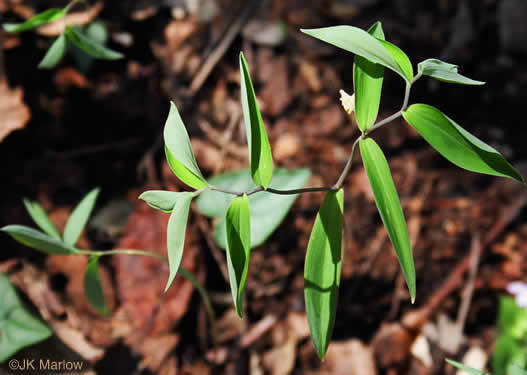 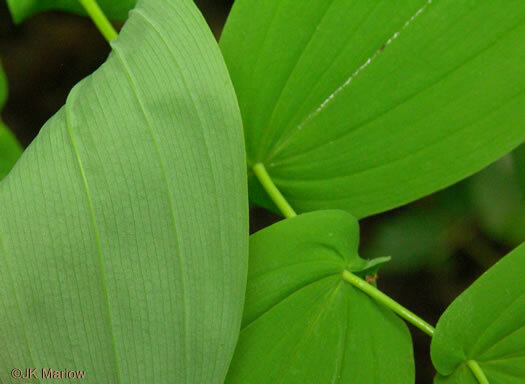 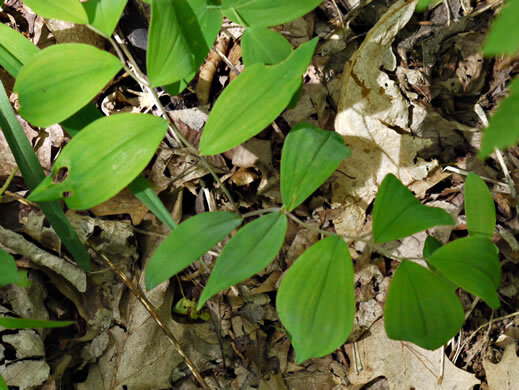 Your search found 7 image(s) of leaves of Bellwort species. 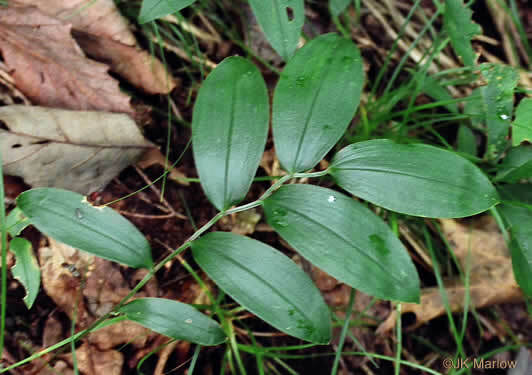 Leaves smooth, blue-green, oval, pointed, pierced by the stem at the base, per All About South Carolina Wildflowers. 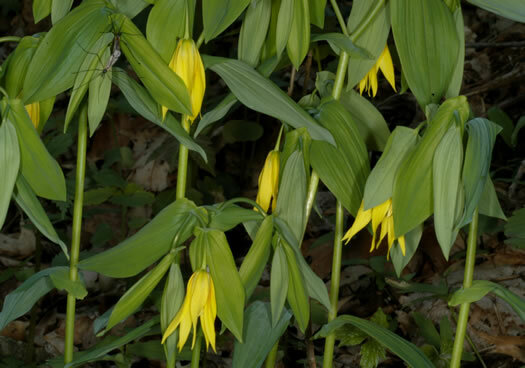 Tepals and foliage twisted, giving the plant a droopy, wilted appearance, per Wildflowers of the Southern Mountains. 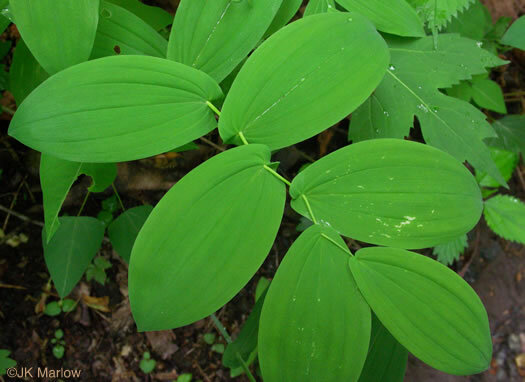 Lvs glabrous, lustrous, thick, elliptic, acute to slightly acuminate, sessile, per Vascular Flora of the Carolinas.